Do you have memories of Stamford's East Railway Station? Did you make a journey or journeys from there? Where did the line take you to? When did it open, when did it close? Send some information to build a picture of this now closed railway station. This station ran LNER trains from Stamford to Essendine, backwards and forwards several times a day and went nowhere else. Essendine was as I understood it in the 30's/40's and indeed into the 50's an important "junction" for what reason I do not know. However if you were travelling from "Up North" some trains stopped at Grantham, some at Peterborough and some indeed at Essendine and these were Expresses, as our current intercity trains today, Consequently it was one of two links to Stamford. The last train driver I remember (in fact the only one since he had been doing it for so long) was a Mr Day who lived close by me. Ed: Thanks for that John my memories of the North Station are a bit vague though I think I went there a few times: Does anyone else remember details of the North Station? 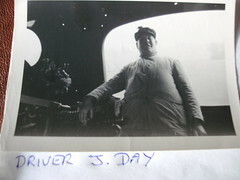 Do you remember Mr Day or any of the other train drivers or staff? I can't remember if this station had a waiting room or ticket office but I suppose it must have. It certainly must have had a few steam trains passing through. Let us share your memories. Were you a train spotter? (sorry an anorak!!) Did you go there to clock the trains in and out? If so, you may be able to give us information on details you observed. Get in touch and expand our local history. Sorry to be picky but you are refering to Stamford East station which was located in Water Street. The current station at that time was known as Stamford Town. 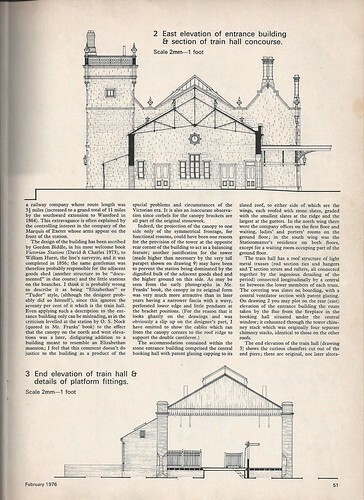 The East Station was built by the Marquis of Exeter but ended up prior to railway nationalisation being run by the London North Eastern Railway (LNER) whereas Stamford Town was run by the London Midland and Scottish (LMS). Essendine was important as the trains running through it to London were operated by the LNER. 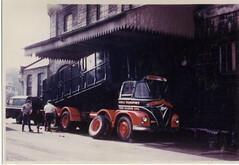 This company did not want to give business to its rival the LMS which would have been the case if travelling to Peterborough and changing there. Essendine also had a line connecting to Bourne which at that time was an important railway junction. Stamfordians could travel to Bourne and on to the coast all via the LNER without involving the LMS. Apart from the line to Essendine the East Station also had a branch to Wansford via Barnack, Ufford Bridge and Peterbourough Road stations. Both branches were built to take double track but business was as such that both remained single track throughout their existence. The line to Essendine opened on November 1st 1856. It had 1 intermediate station at Ryhall and Belmesthorpe. My grandmother used to catch the train to Stamford daily from this station when she was a young girl. The line to Wansford opened in 1864 but closed to passengers in 1923 and freight in 1929. Despite this early closure it is remarkably intact in relation to stations track bed and bridges. The Wansford branch had 2 claims to fame. The first was the station at Ufford Bridge (bridge and platform are still there). This station when opened was the smallest station platform at 166ft, as oposed to halt , in the country. The train guards on the branch combined the duties of station master, porter, booking clerk and ticket collector at Ufford Bridge. Multi tasking is not a new concept. The branch lines second claim to fame is that a narrow gauge railway was built running from a junction at the Southorpe bridge to Wittering. This railway was used to construct the present day airfield during the first World War. When driving past Wittering on the A1 opposite the main gate is a track leading down to the bases sewage works. This track is where the railway ran. My paternal Grandfather (George Lister) was signalman at Stamford East for several years prior to his death in the early-to-mid 1950s. He lived with my Grandmother at the East Station House. I remember many summer holidays there and recall the names of Percy Holwell and Ron Wade in particular. I am hoping to visit Stamford again - for the first time in some 10/15 years - later in 2008 to see my Aunt who remains resident in the town. Kate: Thanks for your posting John. Anyone out there with memories of George LISTER, signalman at Stamford East? Let us know any railway memories for our local railway services. 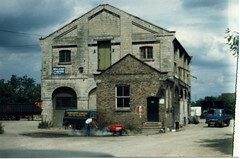 In the late 1970's the East Station was the home to Steele's Removals and at the side (BP side) a friend named Don Bentley had a car repair business. 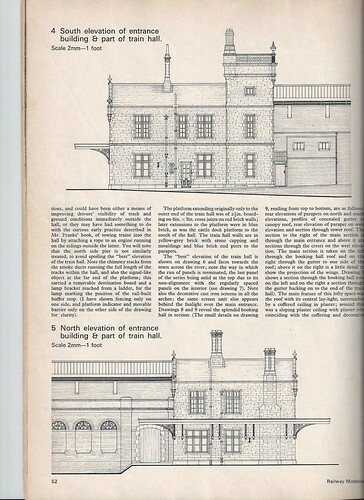 Was not the East Railway Station home of the "Musgrove's" at one stage? I seem o think it was, they operated their haulage business from there, also "Woodford Blacksmith" operated from the yard to the right of the station, where Jessy Heydon had his workshop for paint spraying vehicles, I believe "Steel's" used the yard at the East Station for parking their removal lorry's there, but was not aware they lived there? always thought it was "The Musgove's" ? 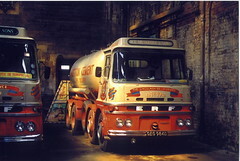 Definitely remember seeing H E Musgrove's trucks in East Station Yard, they moved there from Castle Dyke, but can't remember when. Neither can I Roger, think it was about 1967-1970 but not sure? However I have had confirmation that it was the home of "Musgroves" and not "Steel's" perhaps someone could provide us both with the exact date, when the Musgroves moved to the East Station? I recall last 1970s early 80s part of it was used to store or repair crashed cars. New to this thread - most people used the East Station rather than Stamford Town for the first daily trains with Essendine connection for London Kings Cross. At 0725 and 0835 if I recall correctly (no normal Sunday service). 0725 got you into the Cross about 0950. However you invariably returned via Peterborough connection to Stamford Town LMR station as there was a last train getting into Stamford about 2050 long after the last train to Essendine with connection for the East station left Peterborough. I recall going on a Sunday excursion from Stamford East to Skegness via Bourne and Spalding and up the old East Lincolnshire line must have been about 1950 some nifty running around at Essendine to get quite a long train over to the Bourne side of the station. The engine I remember that day was an old GNR J6 0-6-0 goods. Used to have dealings with the goods staff at Stamford East. Office was under Mr Bert Joslin with quite a large staff of clerks and a lot of warehouse storage space to handle a not inconsiderable goods traffic. Sacks of seeds, fertilizers, Blackstones implements, Allis-Chalmers tractors in fact just about everything coming in and going out of Stamford. At that time I believe competing lorries for the traffic were'nt allowed to travel more than 20 miles on a "C" type licence so the railway enjoyed some protection. I am sure your correspondent Mr Musgrove would know more about that than myself. I remember the East Station very well When I was a teenager in the 1940s my mother and I used to visit my grandmother in hospital in Cambridge. It took us all day to spend about an hour there. I also remember during the second world war one of our old Collyweston neighbours, Mrs Maud Couzens was a porter there. She worked very hard delivering goods in the town on a hand cart. You ask about memories of journey's from Stamford East Station. Well I do have a vivid recollection of a Bluecoat School day trip to the Railway Museum at York in the late 50's. I seem to recall that everyone seemed to be better prepared than me with regard to provisions for the day so just as we were pulling away my father gave me a half crown which I suppose probably went a long way in those days. Heads out of the window, lots of black smuts on the face, I can still smell the smoke now. Hi Martyn, I can still remember that Bluecoat trip to York, it was 1958. We had a great time, pleasure boat down river, running through the railway carriages in the museum, looking at the Stamford shop front in the city museum and I think we may have even walked along the old walls. However there was a very sad ending to the day. On arriving back in Stamford one of my classmates learnt his mother had been killed in a car crash that morning. 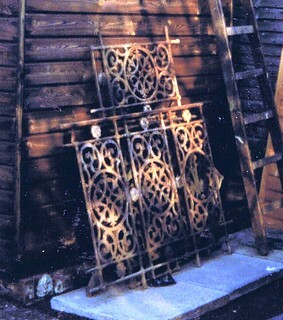 I have a Lamp Post from Stamford East In my front garden, and a bench from the platform. All purchased legitimately in the 70's. Does anyone know where I can get a photo of the lamp in it's original location? Thanks. Simon. Thanks for the offer but can't see your email address or how to attach a piccy here. Thanks anyway. Kate: Have sent Simon your email adddress Tim so hope you will hear from him soon. Kate: Thanks Jim - its good to add those names to the site as it will help us to remember the people who worked there. Perhaps even bring other people to mind as well. photos itook from the engine on the trip. Afterwards i went back to my own depot Newengland loco (p,boro) were i worked on the main line footplate between kings x & york. Kate: Hello Mick. That's interesting. I'd like to put one of those photos on this posting.Lots of people would like to see that on the site. Have you any of a group of railway workers? Can you send these to me via my email address using your normal email? Its kate@stamfordtown.com Hope so anyway. Look forward to receiving them. Double click on the photo. Then click on the + sign top right. Then click on " View All Sizes" to get largest image. It's a couple of years since i posted a comment concerning my late Paternal Grandfather and I've just completed my second visit to Stamford since that time. It's good to see the Station House in pristine condition, but perhaps a shame that the adjoining development in the old sidings could not have been a little more in keeping with the architectural style. Kate: Hope you enjoyed your visit John - in spite of all the "holes in the roads" we are experiencing at the moment. I wonder if your aunt is still alive? I must have a look at the development you mention - not sure if you can just "walk in" to the area - I suppose you can - to have a look round. Do you have any old photographs you would like posting under this heading? One of your grandfather in his uniform would be nice. Sorry, Kate, but I have no photos. The only other comment I can add, by way of historical interest, is that my Grandfather did write a weekly column for the Mercury under the name "Adam Scribe" and I recall it was by way of nature notes / observations from the signal box on the bank of the Welland. My Aunt is now seriously ill and I am in Stamford again for a few days next week, staying hopefully at Candlesticks in St Martins. My paternal grandfather, William Cook, was employed as Head Porter at Essendine Station, not quite sure of how many years he served. He died inabout 1949/50. From my birth, until 1949, I was brought up in Belmesthorpe and I can well remember being put on the train at Belmesthorpe to travel to Essendine to see my Nan and Grandad. I always travelled in the Guards van, with the guard, whose name was, I think, Mr Killp, or Cullop, or something like that? I felt really important traveling with the guard. I was always met at Essendine by my grandad with a big hug. Oh happy days. Kate: Hi June. Sounds wonderful to be travelling with the guard. Those train journeys were really something special when travel was so limited for so many. Anyone remember William Cook Head Porter at Essendine or can anyone clarify the name of the guard? Kate: So sorry about your aunt John, but glad to hear this will not stop your visits to Stamford. It makes a good place for a break and there are now some very good places to stay and visit. new photos by kind permission of Tim Musgrove - I will be adding details of the photos shortly. Thanks, Tim. 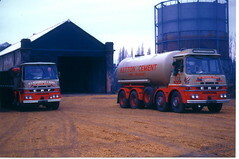 Great selection of ERFs and a Foden. I remember my last trip on this line in the early 50`s. We travelled from Little Bytham changing at Essendine. I was about 5yrs. old and I had to have a tooth out in Stamford. Does anyone have any photos of the engine that fell into the river near the station I can remember seeing one many years ago but no one believes me that it happened. Kate: Sounds spectacular Jim. Anyone else got memories of this - or better still a photo for Jim . It actually happened but I think it was sometime in the 19th Century. The engine was recovered from the river and after repair was put back into service; I have read it was nicknamed "The Diver". "The Diver" was the name given to the loco which fell into the Tay when the Tay Bridge collapsed. I understood the nickname was acquired because the engine, on more than one occasion, fell back into the Tay when they tried to lift it out. It was eventually recovered and ran for several years in Northumberland , so I read. Hi Roger. Found this reference to "The Diver". The "Welland Diver" as it was generally known, fell into the river in July 1878. It was a GNR 0-4-2 saddle tank, number 502. Driven by driver Thomas Sneath, and hauling a lime wagon, it became out of control, hit a line of stationary goods wagons, and rolled into the Welland. It stayed upside down in the mud for ten days before finally being extricated by four mobile cranes up an improvised slipway in the embankment. A photo and full details of this incident, and other early Stamford railway mishaps, can be found in Great Northern Branch Lines to Stamford, by John Rhodes, published by KMS Books, Boston. reference for those interested in Stamford's railway history. Thanks again for posting for everyone's information. There is an article on Stamford's railways by a Neil Sprinks in Steam World no 286 - April 2011 - with some excellent accompanying photos. There are 2 views showing the Midland and GNR lines side by side (Stamford East can be seen to the rear of one of the photos) with the respective signalboxes on opposite sides of the track. My neighbour worked on the railway at Essendine and used the station at Ryhall & Belmesthorpe. The platform is still there but you may have to be quick if you want to see it - the land is about to be sold for building work. I'll ask if my neighbour has anything interesting to contribute. 1944. 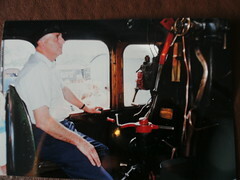 I was a fireman on the Essendine line at this time. On the early shift I would cycle from Peterborough - in the blackout, past the operational Wittering on the old North Road. On two occasions I got up late and had to catch the 4.39 paper train from Peterborough North Station to Essendine where I would meet my driver who had to prepare the engine and drive the train himself. Returning home I could go to the other Station, put my bike in the guard's van and travel to Peterborough East station. The drivers at that time were 'Peggy' Martin, Jack Day and Frank Beaumont. 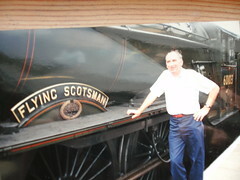 A man named Swann from Barnack did the station duties. 'elf & safety' would have a fit! I loved the old East Station. It was what I call a dead-end station like you used get at the seaside (Skegness, Lowestoft etc) where trains went to and from it but not through it. My earliest memory of the East Station would be in the late '40s when I was about five years old taking a train ride to Ryhall and Belmesthorpe Station. And in the 40s and 50s, if going to London, you would normally travel from the East Station to Essendine to catch the London train there. During the 1960s a circus inside an inflatable big top was staged in the ground of the old East Station. Dunno if anyone else remembers that. It was only a small circus and hey didn't do good business. I remember as a loco fireman bringing billy smarts circus to town. Think it was in the 50,s came in at the east station had to come across to the town station to unload the animals in the goods yard cattle pens. Kate: That must have been quite a sight Mick - and quite an operation! 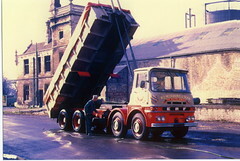 I well remember the animals, especially the elephants being unloaded, it was about mid-day and I went down from St Augustines school dinner break, needless to say they took ages to unload and I was late back to school, was with a mate, Robert Farrel, we both got caned, but it was worth a bit of pain! I have seen the old site of the Ryhall/Belmesthorpe station is/was up for sale and wondered 'if' anyone has any photos' of it???? Hi..I have pics of this Stn before being demolished.How do I send them in html form. Please keep the images at a reasonable size so that I can then upload them to FLICKR and then to this website. I am sure people will enjoy viewing them. Dear Kate..I have pics of Ryhall & Bell Station..should I Email them to you,if so could you send me your add. I noticed a reference to maud couzens of collyweston on your website. Maud was my grandmother and I would be interested in hearing from anyone who has any memories or information about her. Kate: Yes Myra the reference was made by Daphne Hawkins. Can Anyone help Myra? 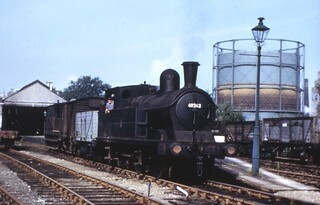 Train at Stamford East Station with gasometer in background. This site is really good Tim.What a lot of information. I particularly like the Ketton and the Stamford sections. How great to see all those old bits near Stamford Station - coalyard (bags of coal etc) and the little Ketton Station - to which I used to travel to see my aunt in Ketton. Thanks for adding this link. I am compiling a new book about railways around Stamford. I would love any collections to help please? 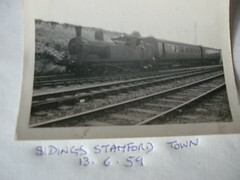 I came across this photograph of the last train from Essendine to Stamford. 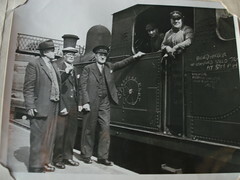 The print on the back of the Engine would be Driver Jack Day and the date ?/6/59. The Essendine staff are on the picture. Nearest the engine is my uncle Charles Jones then Sheila ? 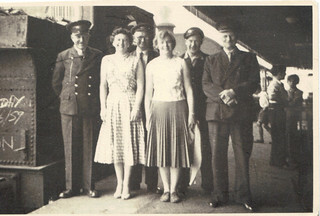 on the right is the Station Master Mr Sexton. Although I know the faces of the others I cannot remember their names. I used to use the train regularly to come home from school if I stayed late. and its a bit more tricky to upload now, but I think its looking good. The loco fireman not named in the picture, I am sure was Roy Middleton to whom I was reminiscing about old times only this morning. My wife thinks the man behind with glasses is her grandfather sydney crow who was station master at essendine and then ketton until its closure in 1965. My father in law also thinks it him so thought i would post in case it jogged a memory. I have the book by DL Franks if that is any use to you? Kate: Thanks Shaun - think I have this one in my "library". Nice of you to offer. 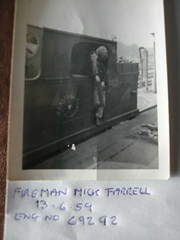 13/6/59 their are no engine crew in this photo earlier memories photos show them jack day was the driver i was the fireman Mick farrell. Sorry I got my facts wrong Mick; I was misinformed about the fireman's identity. Roy and I often reminisce about the railway. We met up yesterday and I gave him a few old rail magazines. Hi Tim - those views from above are brilliant! Thanks for the link. My thanks also for the Britain from Above link - I'm building a model of the station from drawings I made back in 1974 and the views of the roofscape have just come in very useful. 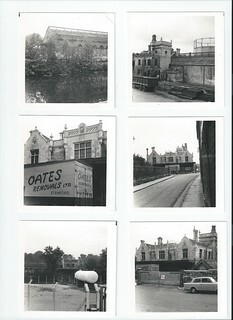 I have photos of the station as it was when I did a survey of it in 1965 when Oates Removals used the building and would be happy to add them to this post - if I knew how to! get it onto the site and on to FLIKR. Thanks again. I have also found the Britain from Above link very useful,as I'm building a model of the East Station from drawings I made in the early 1970s; I surveyed the building in 1965 before going off to college and it's taken 48 years and retirement to get around to turning them into reality! If it's any help, Roger, I have photos of the station as it was in 1965 when occupied by Oates Removals - there doesn't seem to be a way of putting them onto this site however. Kate: See previous posting and press SEND! Great I will be looking out for them. Hi Chris Tim Musgrove has asked me to send him your email address as he wants to have a chat about these railway station photos. Is it ok to send the address to him? just a note ,are you the same mr palmer who i remember my grandfather fred cox talking to from his garden off barnack road looking over the wall down at the station. 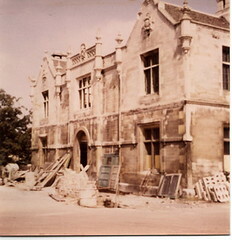 Hi Tim, very pleased that bits of the old booking hall have been saved - such a shame that it had to go, I dimly remember it from my survey visit in 1965 when it was full of all sorts of rather spooky old furniture, grandfather clocks and the like, so I didn't linger long in it! I can't recall a conversation with anyone on a visit in 1973/4 but my wife reminds me that I did take her over there, probably in 1974/5, by which time i had probably finished my drawings. later. Thanks again for sending this catalogue of work - which I am sure will be of great interest to many and useful as a record. I well remember these finely executed drawings and article appearing in the RM; I still have a copy somewhere in my archives. The standard of your work is to be congratulated. It is a shame we took all these old artifacts and relics of industrial archeology for granted at the time and thought they would last for ever. It is a sobering thought but under the later Beeching cuts the Peterborough to Leicester passenger service was to be withdrawn with the closure of the intermediate stations including Stamford Town but thankfully somewhere along the line, a reprieve was allowed and so we still have a service at the present time. Just discovered the site. Brought back wonderful memories of the Stamford-Essendine branch. We went during the war from Stamford East to Lincoln via I guess Grantham. In the 1950's I heard that a Class K2 2-6-0 had headed a seaside excursion via Essendine to the coast. Did this work via Bourne and Spalding? Any confirmation of this? Over my trainspotting years from 1948 to 1955 the largest loco I ever saw was a J6 0-6-0 working a Sunday engineering train. I was cycling home to Uffington from Essendine just as the train came up from the Stamford direction. I am pleased that I returned for the last rites, although sad at the loss. I used to spend a lot of time in the Uffington and Barnack signal box on the old LMS line with Bill Baxter, Fred Crowson and Bill Brown - real railwaymen - finding out from the special workings timetables what would be running. The Aintree horsebox specials, usually with a Crab 2-6-0 at the front, were highlights. Good to see Mick Lynas and Reg Hornby still around in 2013 and hopefully still are. I have an N gauge model of Stamford east station built by Trevor Webster. However there are no signals on it. Can anyone help with a signalling diagram? Hello, Just doing some research on the Belmesthorpe Station, as I own the site and note there are some pictures around of the Station before it was demolished. I cant seem to find them on the website, any chance of them being emailed to me? Hi Ben. There are 3 photos of Belmisthorpe & Ryhall Station. 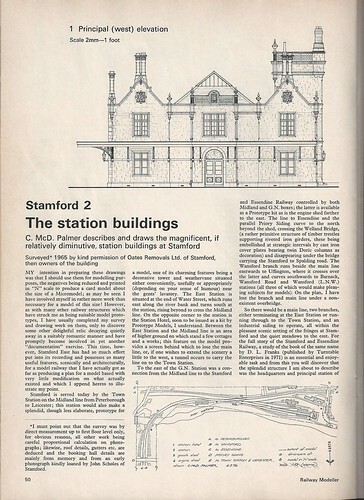 I just finished scanning two articles by Chris Palmer in preparation for my own long-anticipated model of Stamford East. 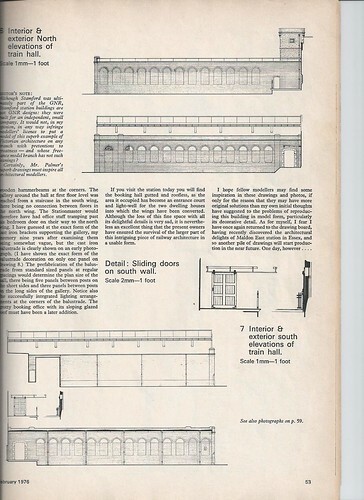 The articles I have are Railway Modellers of Feb and Nov 1976, but they seem to be parts 2 & 3, and I don't have part 1. 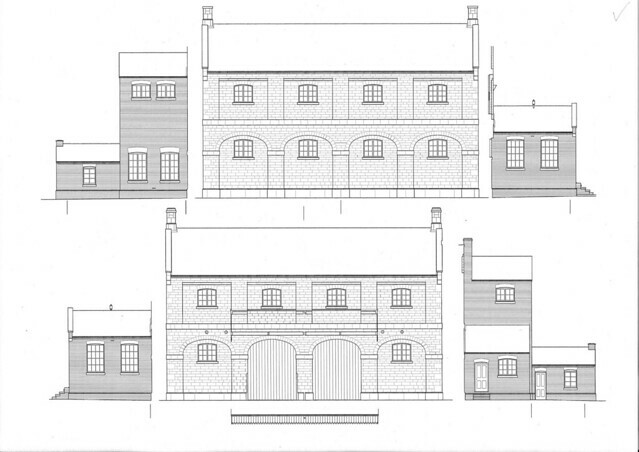 Also, Chris sort of hinted that he had drawings of the goods shed. 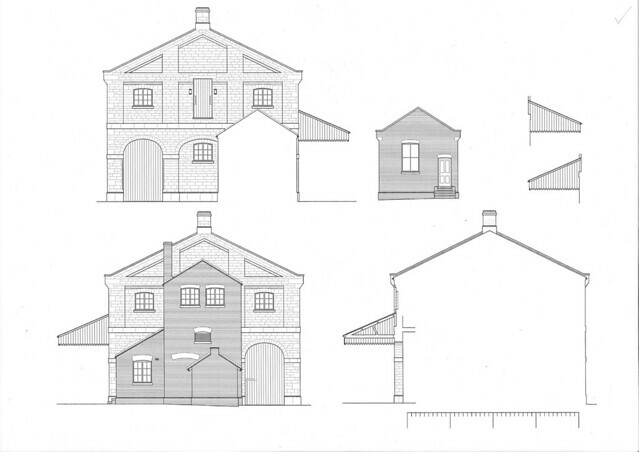 Are there drawings of the goods shed, or photos? Or the first article in Chris's 1970s trilogy? 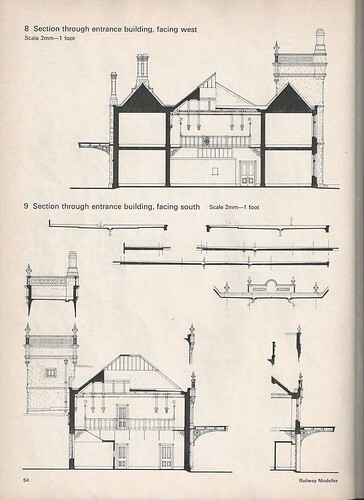 Hi David, coincidentally I recently finished the Goods Shed drawings on the computer, some fifty odd years after surveying it. I'll send them as jpegs via e-mail to Kate so that she can publish them. My article was one of the Stamford series of three, John Scholes' 4mm scale model of the station was another and Tony Sparks O gauge model was the third. I've recently completed the station at 2mm scale which I put on both the Papermodelers and N Gauge Forum websites plus the Prototype models engine shed and signal box; the goods shed is in progress. Hi Kate, can't seem to get drawings or e-mails through to you - please advise. Look forward to receiving them Chris. Hi Kate, Drawings as promised. My father was born at Essendine station in August 1922 to Walter and Elizabeth Pratt. I think my Grandfather was station master there and went on to work at St Neots. Does anyone have any information about them?